Read about our project to construct a facility to serve the needs of blind and visually impaired residents in the town of Vinh Lihn, Quang Tri Province. Read the press release about the Vinh Linh project dedication ceremony (June 18, 2010) which was attended by several representatives from the ISEPS. This document is in text format. Or take a look at a new video about the completion of the project and the impact it will have on the local community. Here is a link to a photo album from the dedication ceremony. Bloomberg News reported on the dedication. View a press release about the groundbreaking ceremony for the Vinh Linh Blind Association project and ISEPS' partnership to teach cataract surgery in Quang Tri province. 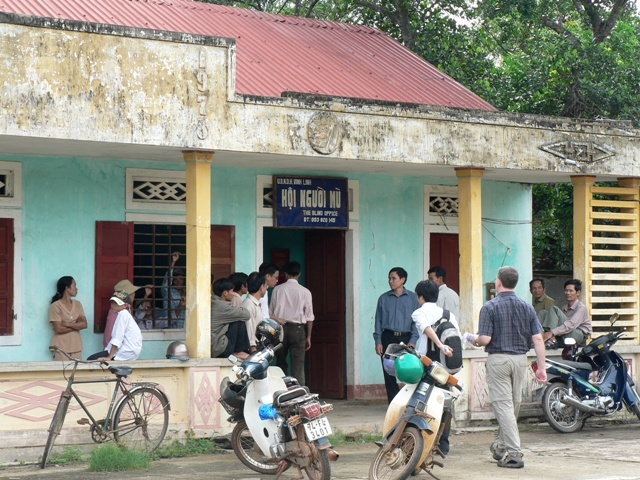 ISEPS representatives attended a groundbreaking ceremony in July 2009 for the new Vinh Linh Blind Association project. ISEPS members worked to raise $60,000 to make this a reality! (Watch the video on this page.) To see a photo gallery of the groundbreaking ceremony, click here. Follow the actual construction of the new building by viewing this photo album. We are making progress! Please help by making a donation of any amount. View a photo update from January 2010. As of June 2010, the project was complete! Make a credit card donation now. This link takes you to the GCSF website. Be sure to designate your donation to the Vinh Linh Blind Assocaition project in the space provided. Vinh Linh impact here at home -- Read an essay written by Nikki Katz, the daughter of an ISEPS member, who raised significant dollars for the Vinh Linh project. In it, she explains the impact this has had on her own family and outlook on the world. What is Project Vietnam All About? ISEPS' efforts in Vietnam were first proposed by longtime board member and past-president Ronald C. May, MD. As an Army doctor during the Vietnam War, Dr. May visited the country a few years ago as a tourist and felt that the ISEPS could help to develop educational efforts and possibly other programs. Following some consultations with executives from Alcon, a phacoemulsification course at the Vietnam National Institute of Ophthalmology in Hanoi came about. In addition, the ISEPS is working with the Global Community Service Foundation to upgrade the eye care available in Quang Tri Province. Click here to read a blog about the ISEPS volunteers' experiences teaching a cataract course in Vietnam. Read articles about the ISEPS' Project Vietnam . . .
Coming soon - a gallery of photos from the ISEPS' first trip to Vietnam in October 2008. Stops included Hanoi and the Vietnam National Institute of Ophthalmology for the phacoemulsification course cosponsored with Alcon. Then, we went to Quang Tri Province in the central part of the country to conduct an intial investigation of eye care needs there. This was done in cooperation with the Global Community Service Foundation (GCSF). The ISEPS and Alcon partnered to offer our first phacoemulsification course at the Vietnam National Institute of Ophthalmology (VNIO) in Hanoi. This took place in early October 2008. Teaching the course were ISEPS members James Katz, MD, Chitra Nadimpalli, MD and Maria Rosselson, MD. ISEPS' executive director,Rich Paul, accompanied them as coordinator for the project. About 15 Vietnamese ophthalmologists from throughout the country took the course as they are transition from extracap to phaco. In addition to the phaco course at the VNIO, ISEPS initiated a second program in Quang Tri Province which is located in the central part of the country at the "DMZ" (the old dividing line between North and South Vietnam). Working with the Global Community Service Foundation, the Dr. Katz and Rich Paul conducted eye screenings at several locations in a fact-finding mission as the first step to develop an ongoing program to address the eye care needs in the province. CLICK HERE to view a slide show from the ISEPS' second trip to Vietnam. These pictures include the Vietnam National Institute of Ophthalmology in Hanoi, the Dong Ha surgery project, and the ground breaking ceremony for the Vinh Linh Blind Association facility (see below). Plus, we added a few nice shots, well... because we liked them. These include our visit to the Nuoc Ngot orphanage in Phu Loc and some "faces of Vietnam," as well as pictures from Halong Bay. The second phaco course co-sponsored with Alcon took place from June 29 through July 3. Teaching the course was Marian Macsai, MD and Ronald C. May, MD. In addition, the mission in Quang Tri is being expanded to include hands-on cataract surgery in cooperation with the local ophthalmologists in the town of Dong Ha. News Update -- We conducted 14 cataract surgeries in Dong Ha, all of which were successful. During the first day post-op exams, it was clear to us all that the patients were very excited about having their vision restored. Most of the cataracts were fairly mature, so it's evident that the difference was quite profound for the patients. The local ophthalmologists, Dr. Ha and Dr. Mi Sen, were able to participate in the phaco course at the VNIO and then put their new skill into practice right away in their hometown clinic. It was really wonderful to see this expansion of services for the Dong Ha community. In June 2010, Drs. Ron May, Marian Macsai and Jim Katz, along with ISEPS executive director Rich Paul, make the third ISEPS trip to Vietnam. We attended the dedication ceremony for the Vinh Linh Blind Association facility in Quang Tri Province -- a project financed by the ISEPS, its members and patients in the Chicago area. In addition, we participated again in a phacoemulsification cataract surgery course at the Vietnam National Institute of Ophthalmology in Hanoi. This course -- the third in which Illinois ophthalmologists taught -- also marked the opening of a new wet lab donated to the VNIO by Alcon-Vietnam. 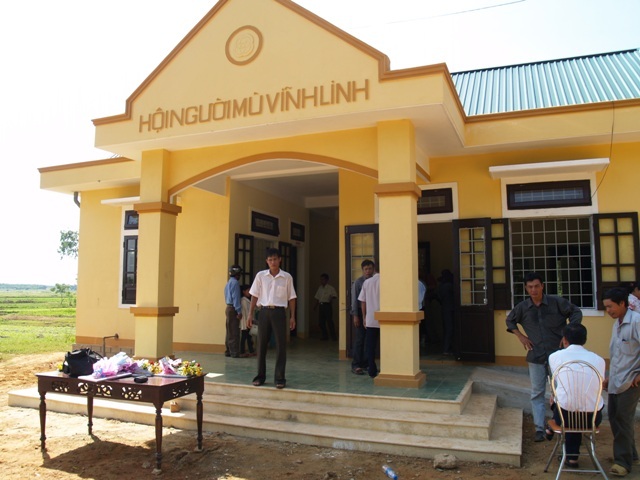 ISEPS' major project in Quang Tri to date was an effort -- working in conjunction with the GCSF -- to raise $60,000 to construct a facility that will provide services to the blind citizens in the town of Vinh Linh. This enables residents to learn practical skills to function with significant visual impairment. Also, jobs are provided so that they can support themselves. The ISEPS and the Global Community Service Foundation have collaborated to produce a video describing the Vinh Linh project. Watch it now on YouTube (8 minutes). Click here to order free copies of our Project Vietnam DVD to play in your office. We would appreciate your contribution to this effort. No amount is too small (or too large!). Download the donation form here. Make a credit card donation now. This link takes you to the GCSF website. Be sure to designate your donation to the ISEPS/Quang Tri project in the space provided. 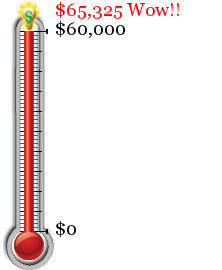 As of September 2010: $65,375... We are there!